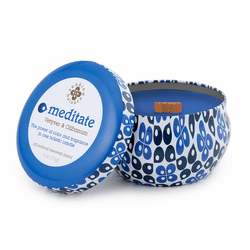 Citrus, myrhh and olibanum combine to create focus and relaxtion for the journey of meditation. The energizing scent of Lemon Zest combined with the warmth and sensuality of Anise envelopes the room in a seductive atmosphere. Combined with Violet, Jasmine, and Patchouli, this fragrance will leave you relaxed and comfortable. Free your mind of clutter and confusion by mixing the simplicity of the color white with the clarifying power of juniper and rosewood essential oils for cleanliness and clarity. Pure essential oils of lavender and the geranium bud combine with the tranquil color of lavender to provide an atmosphere of comfort, calm and relaxation. 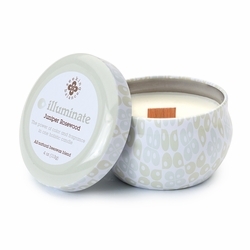 Light Root's Geranium Lavender Seeking Balance candle, lie back and say ahhhhh.